I want to be clear about the nature of my trip to Japan. Besides a brief visit to headquarters, I have not been much more than a quarter mile from my hotel in any direction. This weekend I will extend my horizons a little. But so far, I've just seen a narrow patch of the Meguro neighborhood. Tonight, though, I found something ridiculous and special, a conveyor belt sushi restaurant (kaiten sushi, I guess). It's like a dim sum place in some ways - the color of the plate gives the price of the dish, and the waitress just adds up your stack at the end of the meal. A second conveyor belt, underneath the first, has shallow bowls for soy sauce and mugs for tea. I took a mug, added some hot water (each seat at the counter has its own hot water tap) and then poured in a generous portion of soy sauce. The kind fellow next to me choked on his fish, took a new mug from the conveyor belt, added green tea powder, and handed it to me. The funny thing is that I had already poured myself a dish of soy sauce for my sushi, so I knew perfectly well which bottle had the soy sauce in it before I tried to drink it. Japan confuses me. This fellow had a pile of ten plates, plus soup, by the time he left. I looked at my stack of four, thinking about leaving. A woman sat down beside me as I decided to try one more dish, an expensive one, maybe $4. By the time I finished that fifth sushi dish, she was on her sixth plate. I was clearly doing something wrong. As I ate, I watched the sushi pass by at eye level, one dish after another, pink and green and orange, some startlingly beautiful, others quite unappetizing. I had Adam Bede with me, but I didn't read a word. I just watched the sushi slide past. You can poke around on Youtube if you want to see the conveyor belt sushi in action, but who has time for that? Live, people, live! My Signet edition of Adam Bede is now, by the way, a four-continent book, if I count the Brussels airport as a continent. Which I do. A clan of Jewish traders live hidden away in a Roman ruin in the Sahara desert. Abdias is the son of one of these traders. He is sent into the world to make his fortune, only welcome back if he is successful. He is, beyond anyone's expectation. His wealth attracts the attention of the Algerian Bey, who loots his house and confiscates his wealth. In the process, the wife of Abdias dies in premature childbirth. Abdias takes his newborn daughter to Europe, to Austria, presumably. This covers 40 pages of a 75 page story. There are some hints that the rest of the story will lead to revenge on the Bey. Those hints are a trick. Up to this point, Abdias seems like a sort of moral tale, perhaps a relative of the Arabian Nights, and the events, if not the details, are predictable. In Europe, though, the story of Abdias and his daughter becomes something else entirely, and I would like to meet the perceptive reader who sees it coming. Stifter is searching after The Sublime in small things. The same force that causes a volcano to erupt causes a pan of milk to boil over, Stifter wrote, and who is to say that the boiling milk is less important. Stifter wants the reader to be astonished and amazed by that pot of milk, by the extraordinary forces underlying ordinary life. Stifter is a strange writer, in the line of Jean Paul and E. T. A. Hoffmann, but unique, weird. I was led to him, as I suspect many readers are now, by W. G. Sebald. Stifter has this in common with Sebald - I finish a book by either and think "Wait, what is this?" They defy categories. I'll keep rereading Stifter and see if I can pin him down a little. It takes a long time to fly to Japan, it turns out. Yasunari Kawabata's novel Thousand Cranes (1949) barely made a dent in the time. Less than 150 pages, mostly dialogue, with illustrations. The novel leads us through a young Tokyo man's relationships with his dead father's two mistresses, and the daughter of one of them. This is almost the full set of characters. The story is set against the Japanese tea ceremony. The man's father was a devotee of the tea ceremony, as were both of his mistresses. There's a lot of this sort of thing - light, colors, flowers, pottery, considered in relationship to one another and to the characters. The novel is not a treatise on Japanese aesthetics, but is an easy way to see how people actually think about or use the principles - long-lived pottery versus short-lived love, for example. The traditional tea ceremony is clearly identified as a hobby, one in which the younger characters have less interest. The hobby combines art collecting (the centuries-old pottery) with an additional social ritual. The tea itself seems to be one of the least important considerations. I could imagine a different but not totally unrelated novel about model train enthusiasts. The Vintage International paperback edition of his books, five slender volumes in all, is very attractive. Someone (Susan Mitchell, the back cover tells me) put extra thought into the design. Wuthering Expectations seem to have been wandering away from the 19th century a bit. It's because of the upcoming* trip to Japan. I'm all kerfoozled. Or maybe it's what I'm reading, Thomas De Quincey's bizarre, baffling Suspiria de Profundis (1845) and The English Mail-Coach (1849), nominally two sequels to his most famous work, Confessions of an English Opium-Eater (1822). Note the dates - the sequels, such as they are, arrive more than twenty years after the original piece. During that time, De Quincey's prose, plenty odd to begin with, has become more tangled, more obscure, more strange. Childhood memoir - the death of De Qunicey's young sister from "premature expansion of the intellect" (encephalitis), or school tales about composing Latin poetry - alternate with visionary episodes describing "The Apparition of the Brocken" or the destuction by earthquake of the Jamaican town Savannah-la-Mar, Poe's "City in the Sea" in prose. This all ties in somehow to the visions De Qunicey has under the influence of opium. The "Dream-Fugue" that ends The English Mail-Coach may or may not pull it all together. The Confessions is a foundational work, cemented in place by Charles Baudelaire, of Decadent literature, not a place I normally spend much time. With this later writing, De Quincey is pushing into the Visionary category, beyond reason, perhaps beyond interpretation. The oddest thing, in a way, is that these pieces, as well as Confessions, as well as basically anything by De Quincey that anyone still reads, are magazine articles. When you received your March 1845 issue of Blackwood's Edinburgh Magazine in the post, you would open it to find Part I of Suspiria de Profundis right up front. You can follow that with a reviews of Stephens' Book of the Farm and Lord Malmesbury's Diaries and Correspondence, an essay on "British History in the Eighteenth Century," and, you've been waiting breathlessly, I know, Part II of "German-American Romances". It's all anonymous, except for a mediocre poem attributed to "J.D." Most of William Hazlitt's best essays, Charles Lamb's great Elias essays, almost everything Poe wrote, healthy chunks of Emerson, Hawthorne, Carlyle, are all magazine writing, something I usually think of as ephemera. Another idea to rethink. This might be a good place to point to praymont's attempts to improve his prose through perusal of Carlyle, Lamb, and Hazlitt. I predict success with the Hazlitt more than the others, but would love to be proven wrong. What would a contemporary Carlyle sound like? So best of luck. One more glance at a Hudson Review article, this time "Edmund Wilson's Permanent Criticism: 1920-1950," (not online) a review essay on the two Library of America volumes of Wilson's work. The article is by William Pritchard, himself a favorite critic of mine. Pritchard acknowledges a real intellectual debt to Wilson (as does the more ambivalent Joseph Epstein in an essay that can be found in In a Cardboard Belt!). The question for Pritchard is why a reader should spend time with Wilson now; Pritchard concludes, roughly, that Wilson wrote well enough and was insightful enough, so why not? That may not be exactly it, but any Amateur Reader who spends too much effort reading any critics is probably misallocating his time. There're a lot of books out there. In my experience, Wilson does write well enough, and is insightful enough. His long essay on Proust, in Axel's Castle, is as good an introduction to that writer as I know, and might give a burst of momentum to any reader stuck halfway through The Guermantes Way. Wilson has a particularly strong gift with plot summaries - he describes the plot of In Search of Lost Time in detail, but somehow weaves his criticism in with the synopsis. The final result is utterly un-encyclopedic. The Shores of Light, a thick collection of essays from the 20s and 30s, was less interesting to me for its specific insights than for its sense of The Spirit of the Age. The Wilson of that period wanted to read everything, and tried. His reviews of the promising young writers Ernest Hemingway and F. Scott Fitzgerald communicate the thrill readers found in their books better than anything else I've read. Wilson makes the new writers of the time sound so exciting. Here's Mark Sarvas, describing his Summer of [Philip] Roth, a reading or rereading of all or most of Roth's books, all in preparation for reviewing the new one. Whatever you do Mark, don't calculate your hourly wages for that review. Anyway, this is exactly what Edmund Wilson would do, read an author all the way through before reviewing him, no matter how long the shelf of books. He even decided that he had to learn Russian before he could understand the great Russian novels, and then he did it, more or less. The man could pack away the books. P.S. Look, the Letter-writing Librarian recently read Axel's Castle, and wrote about it here. Why haven't I heard of Elizabeth Spencer before? Or have I? - That was long ago when he was proud of her. I could, and perhaps should, spend a week at Wuthering Expectations plundering The Hudson Review whenever a new issue arrives. There’s hardly a shortage of good writing in good literary journals, so I’m not sure my advocacy is especially useful, but The Hudson Review is the one I read all the way through, every time. The last issue has (most links are PDFs), besides the Heaney essay, three (or possibly two) unpublished stories by Penelope Fitzgerald, fine poems by B. H. Fairchild and many others, and a long excerpt from Joseph Epstein’s forthcoming biography of Fred Astaire, a breezy and elegant piece. The short story by Elizabeth Spencer (“Sightings”) is unlikely to win an award for originality – it’s what one might call standard New Yorker stuff – but it ought to win one for excellence. It’s not innovative in any way, but merely has characters who seem like real people, insights into human nature, artful uses of symbolism. Ho hum. I’m embarrassed that I had never heard of her, or had forgotten her. Look at this lovely website; look at all those books. She seems to be pegged as a Mississippi writer, and good for her. The description is nothing special – a lot of writers can do that, or better – but that last line gets us somewhere. Anybody else have warm feelings about Elizabeth Spencer, or particular books of hers? I’ll read more, I hope. To give me human strength by apt admonishment. This is strange stuff. The moment becomes dream-like; the old man’s words blend together and are “scarce heard”. Not a good listener, this Wordsworth. Then there’s the final simile: “like a man from some far region sent \ To give me human strength by apt admonishment”. Oh, now I see, that’s what he’s like. No, I don’t see it. What is that sort of man like, from a far region sent? Sent by whom? Why? Yes, to aptly admonish Wordsworth, but why would anyone send a man to do such a thing? Why wouldn’t a local man do? In fact, a local man seems to have done the job all right. As Heaney says, the muse has appeared to Wordsworth. William Hazlitt took every opportunity he had, and invented others, to make his single insightful point about William Wordsworth (an ex-friend), that Wordsworth was a poet of pure ego. The descriptions of nature, the peasants, were all a screen. “Resolution and Independence” shows what Hazlitt meant. The leech gatherer may exist in the actual world, but to the poet he’s not quite real. He’s an instrument for Wordsworth to explore himself. Hazlitt thought he was making a devastating criticism. Today, we are more likely to say that the turn inward is the whole point of Wordsworth’s project, his great innovation. Still, compare William’s poem to my favorite line about this encounter from his sister Dorothy’s journal: “He said leeches were very scarce partly owing to this dry season, but many years they have been scarce.” And then add in the “godly books”, and the sailor son. A world opens up there, a world outside of Dorothy Wordsworth. Maybe this is a hint as to why I mostly like Dorothy’s writing over her brother’s, excepting “Michael” and a few other poems. And I haven’t even brought up the daffodils – see Dorothy’s Wikipedia entry for the appalling results of that comparison. Seamus Heaney’s piece is in the Spring 2008 Hudson Review (PDF). And there was while he spake a fire about his eyes. The ellipses are those of Seamus Heaney, from whom I have borrowed the comparison (link is a PDF). He's really going after that last stanza. More on that later. This is one of W. Wordsworth's best poems, one of the greatest in the language, perhaps, yet I prefer his sister's version. A failure of taste? Or intelligence? Or The Great Wave: Gilded Age Misfits, Japanese Eccentrics, and the Opening of Old Japan (2003), to give Benfey's book its full title. Benfey is a specialist in 19th century American literature - Emily Dickinson, Stephen Crane - but here he indulges a lifelong love of Japan to write a unique two-way history of ideas. Ideas flow from the United States (New England, really) to the newly-opened Japan, and from Japan to New England. In the first chapter a teenage Japanese fisherman named Manjiro is washed to sea with four other fishermen and stranded on a desert island. He ends up in Hawaii, and then Fairhaven, Massachusetts. Simultaneously, Herman Melville leaves Fairhaven on a whaler, and misses crossing paths with Manjiro in Honolulu by six months. Manjiro, aka John Mung, was the first Japanese person to live in the United States, and the first great carrier of Western ideas to Japan. Melville was - I think we all have some idea what Melville eventually did with his youthful voyage in the Pacific. So this is a history of ideas told through biography, mostly those of the first New Englanders who went to Japan, and the first Japanese who went to America. There are a lot of strange transformations. The seashell collector Edward Sylvester Morse became an expert in No plays and the tea ceremony. Morse's lectures in Boston drew the attention of the everything collector Isabella Stuart Gardner and many others, including Percival Lowell, who wrote several books on Japan before turning his attention to trying to prove that there was intelligent life on Mars. Lafcadio Hearn does everything he can to actually become Japanese. The small world of intellectual New England helps the book cohere as a story. Edward Sylvester Morse was cousins with Clover Adams, wife of Henry Adams. The book closes with a photo of Henry and Clover's Augustus Saint-Gaudens-designed tomb, based on the Kannon Buddha that Henry saw on a trip to Japan. Mars madman Percival Lowell was the brother of poet Amy Lowell (whom he called "Big Fat Baby"). Mabel Loomis Todd, tied into the Mars business by marriage, was Emily Dickinson's (posthumous) editor, and had a long affair with Dickinson's married brother. Some of this may seem a bit distant from Japan. It's all so interesting that few readers will care. What else is there? Lafcadio Hearn's ghost stories, Teddy Roosevelt learning Judo. At the end, Ezra Pound, Frank Lloyd Wright, Rabindranath Tagore, and Martin Heidegger - in other words, Modernism. Benfey pulls a lot together. He reminds me of how much I have to learn about American literature, much less Japanese. "The greatest period of women writers in the history of any literature"
So says Kenneth Rexroth about Heian Japan, 794-1192. This is the period of Lady Murasaki's Tale of Genji, Sei Shonagan's Pillow Book, and a quantity of poems that is hard to fathom, almost all of them in the five-line tanka stanza. How do specialists in the period keep them all straight? Yes, well, easier said than done. So what were women writers up to in the West during the classic period of Japanese literature? That's a trick question - what was anyone up to? It was the Dark Ages, for pity's sake. At least there's the example of Hildegard of Bingen in the 12th century. I'm with Virginia Woolf - the centuries of waste of women's talents is an indictment of Western civilization. * Make yourself a timeline. Start with Sappho in the 6th century B.C.E. Hildegard is next, I think, a gap of 1,700 years. We need another 200 years to get to Christine de Pisan. Things start to improve a bit in the 16th century - Marguerite de Navarre, Gaspara Stampa, Mary Sidney, St. Teresa de Avila. Not exactly parity, but real change. Who do we have in the 17th century? Sor Juana Inés de la Cruz, Madame de La Fayette's The Princess of Clèves, Madame de Sévigné. Aphra Behn, I guess, although I think she was a hack. Meanwhile, in Japan, 6 year old girls were writing classic poems. Translation are by Kenneth Rexroth and Ikuko Atsumi, Women Poets of Japan, also published as The Burning Heart. * Western civilization also has its good points. So last week in my note on Léopold Senghor I mentioned the rare but not unheard of phenomenon of statesman-poets. The briefest attention to classical Japanese poetry reveals that it was not merely common for Japanese rulers and courtiers to write poetry, but it was virtually a duty of office. The great Japanese poetry anthologies like the Manyoshu can contain thousands of tiny little poems. Many of them are by members of the court, generals, provincial governors, Shoguns. from One Hundred Poems from the Japanese, tr. Kenneth Rexroth. That seems pretty great to me. It looks like just one idea, one precisely accurate visual metaphor. In a sense, I'm completely wrong about that. Most of these poems have, for example, Buddhist interpretations which are entirely opaque to me. This is a minor example of what I was talking about yesterday. I know so little about Japanese literature that a single 150 page book is full of revelations. Imagine what I would learn if I read two books, or three. From time to time over the years, restless in spirit, dissatisfied with the limits of earthly existence, I have been tempted to switch my attention to Asian literature, meaning, mostly, Chinese and Japanese. The Book of Songs, The Tale of Genji, The Dream of the Red Chamber, Basho and Li Po. I know so little about Asian literature. The more I fill in my knowledge of Western literature, over the course of many years, the larger the gap becomes, and the more it niggles at me. I sound like a spiritual seeker, hoping to refresh my soul in traditions not my own. But no, the fact is that my return on investment would be higher if I switched to Asian literature. It might require a high initial investment – the history is unknown, the names of things are strange, the aesthetic standards are unfamiliar. Diminishing returns would kick in at some point. But for a long time, everything would be novel and exciting. Investment here means time and concentration. Return means knowledge, delight, curiosity fulfilled. What I’m calling diminishing returns – the novel I’m reading is just like other novels I have read, the history I’m studying is mostly full of ideas I have already encountered – is actually a crucial step towards real understanding, towards specialization. Great scholars repeat themselves, circle around the a single set of facts or single author, searching for new insights. But that will never be me, so at some point, I would shift my attention to something else. I don’t plan to write about 19th century Western literature for the rest of my life, either. Why do I say “switch” to Asian literature? Because for the Neurotic Reader, everything is a project. Lists of books, background history, modern essayists. Jonathan Spence on China, Donald Keene on Japan. Perhaps this post will serve as a goad to myself – don’t read so neurotically. Dip in, wander around, use the lists for inspiration. A certain amount of neurosis is probably necessary to actually finish a long, complex book life The Tale of Genji. But some moderation, please. I do want to insist on the value of specialization, even for amateurs. Spending a year or two reading nothing but classical Greek literature is a different experience than scattering the books over a lifetime. Very valuable, very satisfying. But there are limits to our energy, and interest, and time. Lady Izumi Shikibu, late 10th or early 11th century, translated by Kenneth Rexroth. Although there ain't no guarantee uh nothin', it looks like I will go to Tokyo, On Business, for basically the entire month of August. What a wonderful opportunity, etc., etc. But Japanese banks don't fly a person halfway around the world to retrace the steps of Basho. I've never been farther west than San Francisco, so this really is a good thing, although it will be, mostly, work and more work. I worry that it will impact my posting. No, who cares about that, I worry it will impact my reading. No formal reading list this time, although I am looking at some of Kenneth Rexroth's translations of classical Japanese poems, and I just finished Christopher Benfey's The Great Wave, a superb account of the cultural interactions between Japan and the United States (New England, really) in the late 19th century. Maybe more on that book later. I'm also trying to teach myself Japanese. Ha ha ha ha! Teach myself - ho ho - Japanese! Ichi, ni, san, shi, go, roku, shichi, hachi, ku, jū. Hajimemashite. Amateur Reader desu. Dozo kory-something. That was from memory - am I learning? Is it more polite to mangle your host's language with the best intentions, or to stick with English? Here is an annotated version of my Senegalese reading list. I want to save future Googlers the work I did. It's an English-language list. French readers can expand it by a factor of 50 or so. Especially useful books - books that really helped me prepare for Senegal - have been marked with an asterisk. This is entirely independent of literary merit. If there's no comment, I haven't read it. If there's a comment, I have. No Senegalese movies or music here, despite the quality of both. Most of the novels are extremely short, often 100 pages or less. Suggestions and corrections are still welcome. Thanks to those who helped out with the original list. Ousmane Sembène: The Black Docker (1956) - Angry first novel, set in Marseilles. *God's Bits of Wood (1960) - An account of a 1948 railway workers' strike. An epic in 240 pages, and a masterpiece. I'm amazed at how much Sembène stuffs into the novel. *Tribal Scars (1962) - Short stories, some in the village, some in Dakar. *The Money Order (1966) - A villager receives a money order from his relative in France. Then his troubles begin. Worthy of Chekhov. White Genesis (1966) - Something horrible happens in a village. Only the griot will speak the truth. Perplexing, but illuminates the role of the griot in Senegalese society. *Xala (1973) - A bigshot is struck with an impotence curse on the night of his marriage to his third wife. The funniest Sembène I've read, easily. Cheikh Amadou Kane: The Ambiguous Adventure (1961) - A didactic novel on the conflicts between tradition and modernity. I don't pretend to understand it well. Mariama Bâ: *So Long a Letter (1979) - A reasoned feminist argument for women's autonomy and against multiple wives. A masterpiece of rhetoric, if not of art, and the best-selling novel in West African history. Aminata Sow Fall: *The Beggars' Strike, Or, The Dregs of Society (1981) - The Dakar government wants to get rid of the beggars. The beggars go on strike. Consequences ensue. Ingenious. In Senegal, I actually saw a news report in which a government official said she wanted to crack down on the children who beg as part of their religious schooling. Strike! Strike! Birago Diop: Tales of Amadou Koumba (1947/1958) - Fine adaptations of traditonal stories, often animal fables. Diop was also a distinguished poet. Myriam Warner-Vieyra: As the Sorceror Said (1980) - Not actually about Senegal at all. Warner-Vieyra is Gaudeloupan now living in Senegal. This one is a good girl-pushed-to-the-edge story, about a Gaudaloupan girl in France. Juletane (1982) - A different Guadaloupan girl in France marries a Senegalese man, and goes to Senegal with him. Things don't go well. Another sharp feminist novel, the crazed alternative to Mariama Ba's rationalism. Leopold Senghor: Poems - A Collected Poems has been published, but the 1964 Selected Poems is probably better suited for most of us. Also see the Penguin Book of Modern African Poetry. Mungo Park: Travels in the Interior of Africa (1799) - An all-time great travel book. One young Scot attempts to be the first European to visit Timbuktu. He doesn't make it on this trip, lucky for him, emerging from the bush with nothing but rags and his enormous hat, stuffed with his notes. The first place to go for a look at pre-colonial West Africa. 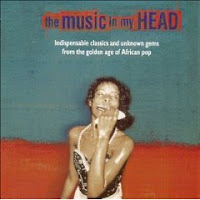 Mark Hudson: *The Music in My Head (1998) - See here. A great book about Senegalese music, and about Dakar. Reginald McKnight: *Moustapha's Eclipse (1988) - A short story collection of high quality. Three of the stories are inspired by McKnight's experiences in Senegal, the others are about American racial complications. I need to read more of his work. Also by Reginald McKnight: I Get on the Bus (1990), He Sleeps (2002), and others. Michael Palin: Sahara (2002) - Senegal is passed through. Well-observed and funny, with good photos. Jean Baptiste Henri Savigny and Alexander Corréaud: Narrative of a Voyage to Senegal in 1816 (1817) - A great account of a famous shipwreck, with some incidental historical information about Senegal. Katharine Kane: *Lonely Planet Guide to Senegal and The Gambia - The best written Lonely Planet guide I've used. Meine frau had lunch with the author, while I went out looking for a place to buy shampoo. For a city of 3 million people, Dakar is a small place. I have spent a total of four weeks in West Africa, two weeks in Mali (my honeymoon), and now two weeks in Senegal. On these trips, one sort of person I met was the Old Africa Hand, the outsider who had really put in the time in Africa, learned the language, suffered the stomach flu, traveled around, who really knew something. They were a varied bunch, none of them resembling Graham Greene characters. Four weeks is a necessary but trivial start on four years, or whatever it takes to achieve Old-Africa-Handage. It takes time. West Africa is complicated. Difficult. Different. That steer up above - he's just standing across from our hotel in central Dakar. A little strange. Some tips, from my own experience, and borrowed from others. One can visit Senegal to go to the beach. This makes no economic sense for Americans, but is not so crazy for Europeans. ("Italian? Espagnole?" asked the touts at the resort town of Saly. American? They're incredulous. Americans don't come here). One can also go to see nature (on the left, a green-faced monkey at the Bandia nature reserve, overlooking our lunch). Our half day in a pirogue in the mangrove swamps of the Siné-Saloum Delta made me wish for a week. During migration season, every species of Asian and European migratory bird passes through a national park on Senegal's northern border. But West Africa is not South Africa, and not Kenya. Nowhere close. One goes - I go - to West Africa to meet people. To see how they live, to see what they do. To talk to them, hear their views of things. So the language problem is critical. If you don't have any French and are understandably nervous, go to Ghana. "West Africa for beginners," an Old Africa Hand calls it. Don't be nervous, though. There's a solution. Go with a group. At a minimum, hire a driver. In Bamako, in Dakar, you can struggle your way around with cabs (next time, I'm learning how to use the public transit. Next time). But to leave the big city, you need a car and driver. Specify that you need a car with seatbelts. Specify that you need a driver with English. He may cost more. He's worth it. As a tourist, your driver becomes your best friend. He knows everyone, he knows everything. Just ask him. You want to have tailored shirts made - he'll take you to the fabric stall, get you a price somewhere between tourist and local, then take you to his cousin who is a tailor. Just go shopping without him, and tell him how much you paid - the look of agony! Perhaps you will feel conflicted, not used to hiring servants. That's good. It will be one guilty feeling among many. The developing world is a difficult place to visit for many reasons - be sure to look up per capita income and literacy and schooling rates before you go. But your driver (and your hotel manager, and any number of other people) are also ambassadors to their country, a country of which they are very proud. And you're paying them. It all works out. Senegal and Mali are poor, unhygienic (expect to be sick, feel lucky if you're not), and badly maintained. The air in Dakar is appalling, and at any time a truly hideous odor may cross your path. The souvenir sellers are endlessly irritating. I wish I understood why I like the place so much. I'll go back whenever I can. The Music in My Head and my new career in Senegalese hiphop promotion - You couldn’t do it. No chance. You can hear this song, almost, if you can find it. * It’s “Boubou N’Gary” by Etoile 2000. Hudson tells a story about it – that it was delivered to a radio station two hours after it was recorded, unmixed, and was an instant smash – that allows identification. “Boubou N’Gary” does not have a saxophone, but otherwise the description is spot on. The Music in My Head is full of this sort of sleight of hand. Youssou N’Dour is a main character in the novel. Peter Gabriel and Salif Keita are in the background. Wole Soyinka makes a cameo appearance. But they’re all renamed, concealed. Senegal becomes Tekrur; Dakar becomes N’Galam. So Hudson has room to play around. Still, this novel gets everything right. Detail after detail. I don’t want to say that there’s no better Dakar novel – remember that table of novels at NEA Senegal – but if you know one, I’m begging you, translate it for me. I was in that cab, that exact cab, still on the streets of Dakar ten years later. Hudson’s Dakar is a scarier place than the one I visited. Maybe safety has improved over the last ten years. Maybe Hudson is borrowing pieces of other cities, Lagos, say. Maybe the menace is in the head of the narrator. All three, I think. But otherwise, this book is it. As a novel, Hudson’s book has some problems, first-novel stuff. He sets up some problems for which he never quite finds solutions. But as a book about Dakar, it’s first-rate, and as a book about African music, it’s a classic. Headlong, ecstatic, compulsive. The novel is about a burned-out English music promoter, Andrew Litchfield, who gets a second chance at the big time through African music and the “world music” boom. We join Litch just at the moment when the ride ends. He became a Senegalese music promoter just by wanting to do it, just by showing up. One of the novels uncanny accuracies. Ma femme is trying to bring Sen Kumpë to the U.S. for a little tour of college campuses next year. They’re good – you can hear them on African Underground Vol. 1, available here, or at their Myspace page. We met another young guy, Hot Rebel, by pure coincidence. He gave me copies of his demos. ** He’s good, too. We visited his studio, a little box with a microphone, keyboard, mixer, and computer. First album coming out soon. Here's a video of his, which I watched on his computer, in his studio. Now I'm bragging. This is the only inaccuracy in the book. I’m nobody. But if I could have stayed, if I had wanted – it’s all very seductive, and completely ridiculous. I could do it. You could do it. Hot Rebel's manager is a Jamaican life coach who is in Dakar because his wife works at the British Embassy. He just showed up. Dakar is an exciting place. * A CD was released along with the novel. The novel never came out in the U.S., but the CD did. Baffling. It's an all time great African record, ranking with The Indestructible Beat of Soweto, and Guitar Paradise of East Africa, and The Rough Guide to the Music of the Sahara. ** The Senegalese music business is a disaster, and the glory days of tape shopping may be in the past. But I came home with multiple copies of Sen Kumpë’s new record, and Hot Rebel’s demos. And a mbalax mix CD made for me by the bartender at the Pen’Art nightclub. Senegal is awesome. Léopold Sédar Senghor, first president of independent Senegal, is also the country's most famous and respected poet. In the statue to the left, which is in Senghor's childhood home in Joal, Senghor is standing on an antique tome. Our guide emphasized that the statue was lifesize, and that Senghor was very short. The poet-statesman is a less rare figure than one might think. The Athenian Solon was a poet, as was Queen Elizabeth I, and Radovan Karadzic. The latter example should make one wary of attributing any particular virtue to the fact that a politician writes poetry. Senghor is a complex figure, a genuine intellectual hero and statesman, but also an actual politician, with all that that entails. Many Senegalese regard him ambivalently - they had to live with him, with policies that worked and policies that failed. Senghor himself was ambivalent about Senegal. He had a French education, a French wife, and preferred Normandy to any place on earth, an opinion that I regard as entirely justified. Most tourists, interested in neither poetry nor politics, visit Joal in order to cross the footbridge to Fadiout, a fishing town of 8,000 people built on an island of shells. The cemetery, on an adjacent island, is one of the strangest, most beautiful places I have ever seen. Surrounded by the sea, on the edge of a mangrove swamp, buried in shells. Click to enlarge - you'll get the idea. One of the shell mound graves. The region south of Dakar is now primarily Christian, the fruits of Portuguese missionary work dating back to the 16th century. The Fadiout cemetery also has a Muslim section. The residents of the region take great pride in their religious comity. So several people told us, and why not believe them? To the shrill notes of my four-stringed khalam. I have woven you a song and you did not hear me. Finding distraction in the mayflies dancing? On Gorée Island, a short ferry ride from Dakar, one can visit the Maison des Esclaves, the House of Slaves. The building, a merchant's house, is small and pink. A series of cells on the ground floor held a variety of cargo, including slaves. This is the view from outside one of the mens' cells. There's nothing in it now. As a guess, at its most crowded it held 20 to 25 adult men. The slit in the back is a window. Here I am standing in the corner of the men's cell, looking into the courtyard. The room is very small. I also went into different, essentially identical chambers reserved for women, and for children. I did not take any pictures of those. Squeamishness? Yes, quite possibly. Under the two central, symmetric, staircases are storage holes that were used as punishment cells, perhaps for up to six slaves. I took a photo of the stairs, not of the cell itself. A guide told us that Nelson Mandela entered one of the cells and fainted. The guide was subtly warning us away from the punishment cells. If you have endured the sufferings of Nelson Mandela, feel free to enter. No one did. The punishment cell just to the right has air slits. This one does not. The way out. One has to imagine the now absent dock, and a longboat, and, further off, a one- or two-masted ship, possibly a slaver, but more likely an ordinary cargo vessel, picking up a few slaves for the trip to Brazil or Bermuda or Georgia. One must also imagine the packed bodies, the odors, the chains, the misery. The relief of the air and sun, the bewilderment of the ride to the ship, the horrors of the trans-Atlantic passage, the lifetime of chattel slavery. The House of Slaves is itself an act of imagination, created by its "conservateur au chef" Boubacar Joseph Ndiaye. He has pasted messages, admonishments, penseés, here and there throughout the building. A strange kind of historical curation. But the House of Slaves is now as much a memorial to the human costs of the slave trade as a historical site. The building itself was part of the slave trade for less than thirty years (off and on from 1780-1810, say), and Gorée Island was never an important slaving center. Maybe a few thousand slaves passed through this building, perhaps many fewer. The smaller scale is probably useful for most visitors. This is just a house. Yet how much suffering was there at this minor outpost of the slave trade? Then try to imagine the giant slave markets on the banks of the Gambia, or in Ghana. Impossible, but we keep trying. Every American should visit the House of Slaves - it is part of our heritage. Every citizen of Brazil, Holland, Jamaica, France, etc., as well, I suppose. I know, the list of places we should all visit is an unfeasibly long one. Oddly, the island itself is one of the most charming places in Senegal, a great relief from the activity and bad air of Dakar. It's also the symbolic center of Senegalese feminism because it was the home of Mariama Ba. There is now a free boarding school for girls that bears her name, and a Museum of the Woman. A complicated place. Gorée Island is a UNESCO World Heritage site. So click the link for better photos than mine. What's here, on the blurry shelves (I was trying to be polite with the flash). Montesquieu, Yourcenar, Bahktin, Sony Labou Tansi. Everything is in French, except for a few childrens' books, speaking of which, see right. A nice French bookstore, state of the art, in a country with a 40% literacy rate. A real treat: Les Nouvelles Editions Africaines du Sénégal. NEAS is a Dakar-based publisher - lots of schoolbooks, math books, and French grammars, but also novels, lots of novels, by West African writers. They said they have a website now, but heck if I can find it. Let's go inside. We're looking into the NEAS bookstore/warehouse. The photos are of celebrated Senegalese novelists, Aminata Sow Fall (left), author of the ingenious The Beggars' Strike, and Mariama Ba (right), author of the bestselling novel in West African history, So Long a Letter. The latter, in its Wolof translation. For the French-language reader (not me), this entirely unprepossessing space is a treasure trove, full of novels available almost nowhere else. Almost none of the novels published by NEAS have been translated into English. Think of similar shelves in similar stores in Indonesia, Peru, Romania. A reminder to be humble about pronouncements about what literature is and is not, what writers are doing and not doing. So I go away for a while, and I find the Wuthering Expectations comments stuffed with useful information about German literature in translation, the chronology of Jane Eyre, and who knows what else. "What's been going on here?" I thought. Lots of good stuff to sort through, thanks. Senegal is an amazing place. You should all go. Especially if you earn a living in a currency that other than dollars, in which case, go now. No, not now, since the weather is getting worse. In the fall, or next spring. Powerpoint presentations by college students. More than one meeting with Senegalese rappers. Helping haul in a fishing net (for which I earned a fish). Catholic Mass in French and Wolof, with kora accompaniment. There was also more tourist-like tourism. And great food, great art, and, mostly, great people. Especially the latter. I think I'll use the American holiday to gather my thoughts on this strange, rich trip.